Below you can see the Baofeng signal received with my PLL based LNBF with external reference. Here, the external reference I’m using the DF9NP 27MHz PLL in free-run mode (no 10MHz input). As the PLL has now being running for days, it is quite stable in free-run mode, so linrad’s AFC has no problem tracking the signal (compare with the recording of the beacon of BADR-5, where the PLL had being running just for a few hours and was very unstable). In my opinion, a system having this amount of close-in phase noise would not be perfect, but acceptable. Now compare the same signal received using the DF9NP GPSDO and 27MHz PLL. 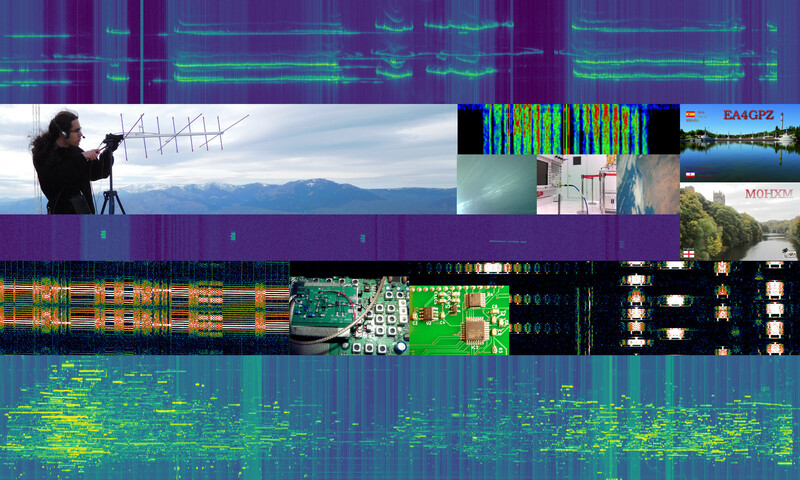 We see the usual “hump” of phase noise that we’ve seen in previous posts. Thus, I would say that the signal of a Baofeng UV-5R is acceptable for checking the phase noise performance of a receiver. A system which is cleaner than the Baofeng is good. A system which is dirtier may be inadequate for some purposes. Compare also the fist figure above with the recording of a Baofeng UV-3R in the Paella Team WebSDR. The second is much dirtier. 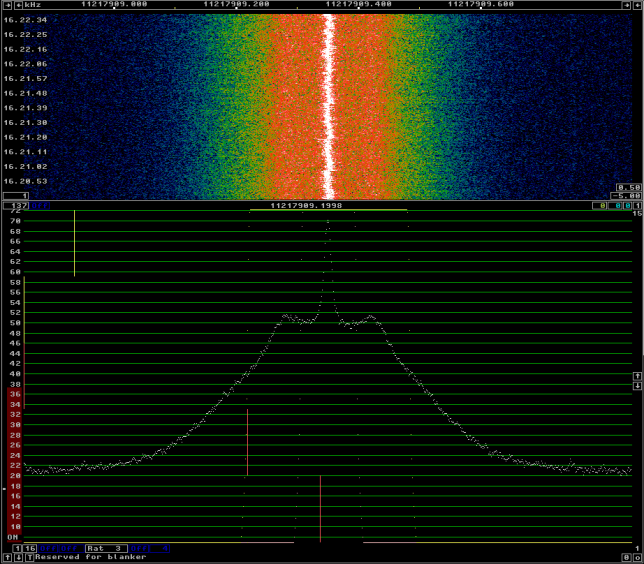 One can imagine that the 10GHz signals of a Baofeng UV-3R and UV-5R are quite similar. 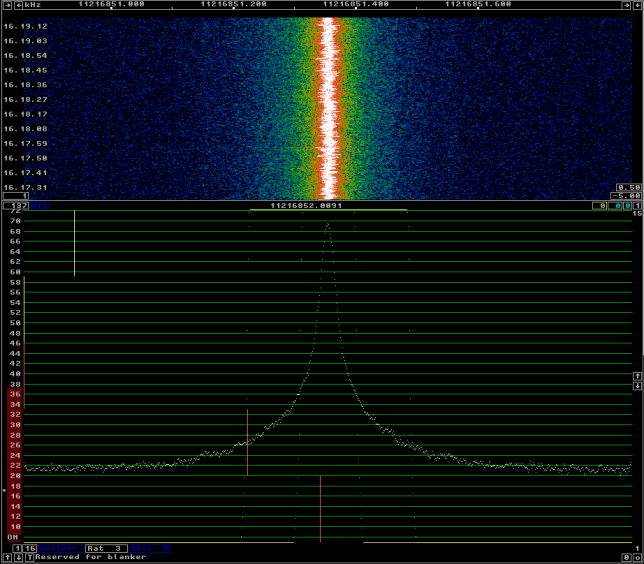 Therefore, it seams that the Paella Team WebSDR has some problems regarding phase noise. Luis EA5DOM reports that it is using a DF9NP 27MHz PLL and a 10MHz OCXO.